​Kristi Toliver will not be silent, and that's inspiring for many. 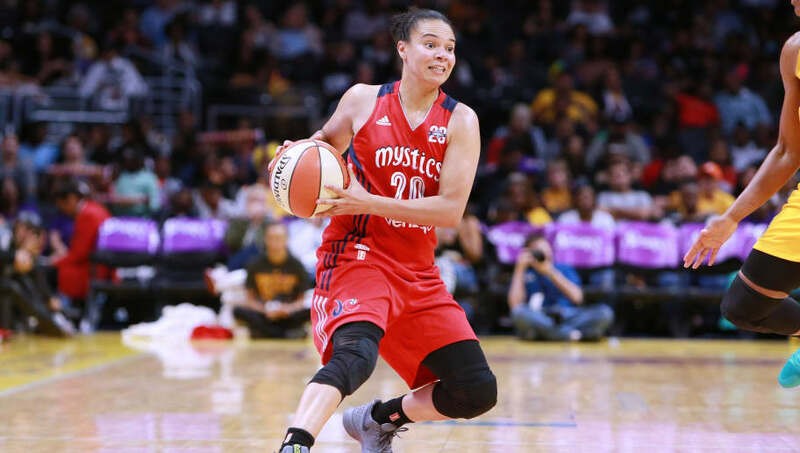 Boarded on a plane after losing a tough game against the ​Minnesota Lynx, the Washington Mystics guard noticed a disturbing text sent by the passenger sitting next to her and did not let it slide. ​Toliver took a photo of the text and posted the image to her Instagram, voicing her disgust at what was written. ​​According to the animated post, Toliver changed seats after seeing the text message out of contempt for the passenger. This isn't the first time that Toliver has spoken out against racism. In fact, just last week she spoke out against the "Unite the Right" rally that took place in Charlottesville, condemning the bigotry of those who held the event. ​​Toliver's recent messages reinforces the notion that sports provide an effective platform for speaking out against racial prejudice. The 31-year-old has shown that she refuses to tolerate views that do not reflect progressive values. Let's hope others can take from Toliver's example and use their respective platforms to speak out against hateful language.